Welcome to Davenport Retirement Village. Our website has description of our facilities, lists details of our many services and programs, orients you to our wonderful community and answers questions about our rules and guidelines. 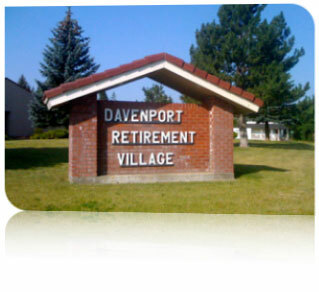 If you are looking for a comfortable, worry free environment for you or your family, come take a look at Davenport Retirement Village. We know you'll like what we have to offer. When activities are scheduled, we will list them here on the home page.